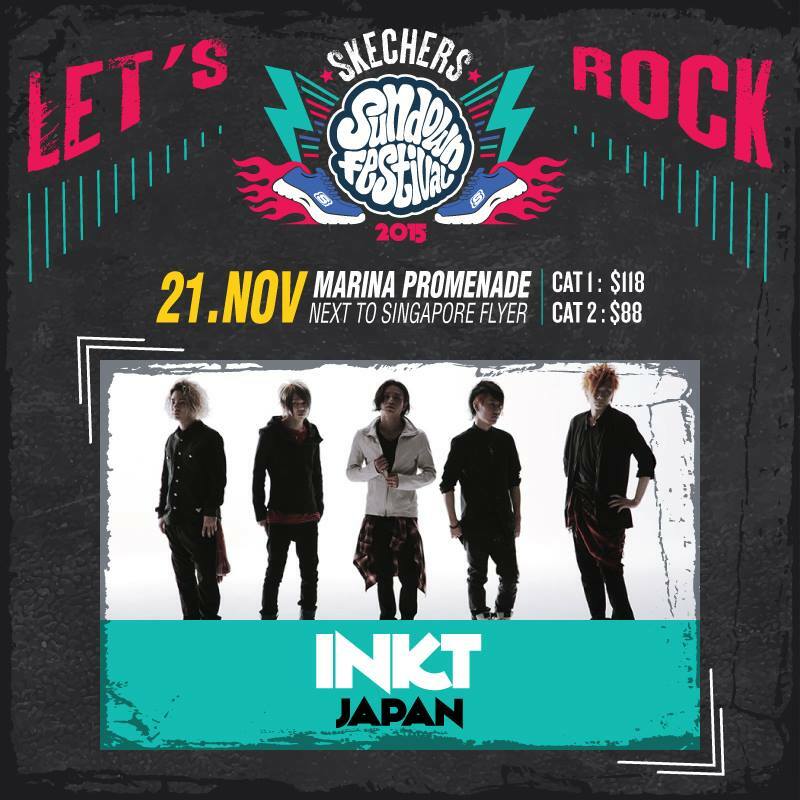 Coming this 21.NOV.2015, INKT will make their very first appearance here in Singapore! So what better way to kick of the excitement with an interview with the Koki & the band! Lukai: What does the name INKT stands for? How did you came up with it? INKT: By definition, INKT can mean a type of paint but on a deeper level, our band name symbolises our desire to colour our listeners with our fresh new colour. Individually, our musical roots are different, and we are all from different backgrounds. But when we come together to make music as INKT, we create something new and different. Lukai: Fans of Koki Tanaka have always looked forward to his iconic voice as a rapper. Since his (KAT-TUN) days, with a mostly Hip-hop influenced style, how has this style changed so far? INKT: I don’t think I’ve ever thought of music in absolutes. There was never a specific genre that I had to follow. There is just so much I want to convey through my music, and I think what you see now is the best way I have found to make that wish concrete. A song doesn’t have to be hip hop in order to have rap in it. Some of the songs do contain rap and I think it’s really a kind of weapon that I can use, wherever I go. Lukai: What is the direction of your music changed through this band now? How does the members think of themselves being a part of the band? INKT: I think as a band, we came together with our individual visions and emotions about the kind of music we wanted to create. We didn’t really just form the band and decide on a particular style or direction. It just so happened that we all shared a common vision and desire. We’re really close friends, and I can speak for the other members when I say we all want to be a part of INKT, even if it means ending up alone. Lukai: Why choose Rock as a genre? What was the motivation of your choice? INKT: We didn’t just come out and decide “Hey! Let’s do Rock!” We wanted to do something that would embody our passion as friends who came together to make the music that we want to make. I think that was the feeling that we were really pursuing. Lukai: Your music sends out energetic vibes for hope and freedom, a reminder to us all never to look back and keep moving forward. If there is a message you’d like to send out to your fans, or to someone feeling lost and helpless, what would that message be? INKT: It might be that what people feel through our music also reflects the message we want to give our fans. There are many people who give up their dreams and lose their way. But there is no need to give up. Age has nothing to do with it. If that message can reach even one person through our live performances or way of life, I think we’d be really happy. Lukai: This is the first time INKT will be performing in Singapore. 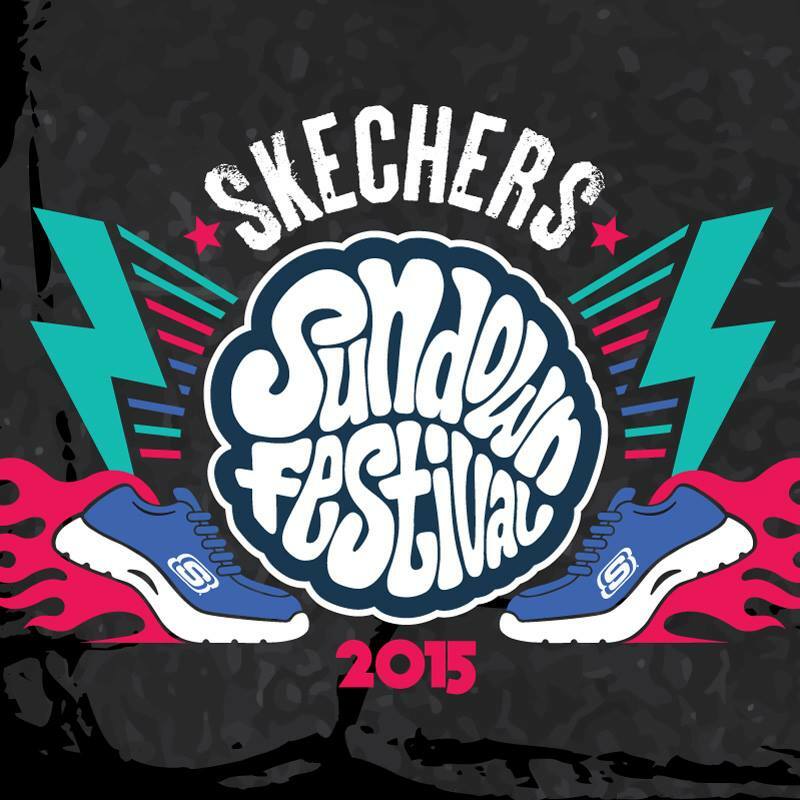 Please share with us your feelings for the coming Live at the Skechers Sundown Festival. Is there any place in Singapore you’ll like to visit in particular, or food you’ll like to try? INKT: We still get nervous performing on stage. But at the same time, we’re really excited. I’ve heard that Singapore has beautiful night scenery and it’s one of the countries I’ve been wanting to visit. I don’t know how much time we will have, but I’d love to do lots of sightseeing! Catch them Live! Grab your tickets now! P.S I’d like to thank the press team for facilitating my questionnaires, this interview wouldn’t have been possible without them! Filmguru finally got it's very first feature on @carousell.sg! I want to thank Jemimah for reaching out to me and sharing my story. 🤗 Below is the full story behind how my little online shop came to be: Filmguru started with one simple goal in mind, to advocate and educate film photography to all ages, young and old. Back in 2014, there weren't as many Carousellers out there pushing for film photography as a lifestyle option but rather as a trading business. Back then when I was shooting film, I felt that there was a need to address several key issues with the perceptions about film being either obsolete and/or expansive. Eventually my journey led me to discover many channel avenues which allowed me the opportunity to reach out to more audience easily and quickly. Since 2014, I've been advocating film photography on my channels of Instagram (@lukaitakashi), Facebook Group (Synergy (Global) Film Community) & my upcoming video series on YouTube (Lukai Takashi). I have spent the last 5 years traveling back and forth to Tokyo to craft a new directions for my content and open up hidden worlds not many are aware about. This Film Photography awareness & appreciation project has since been something of a lifelong mission I've set out to pursue and Filmguru is one of the gateways which has supported that cause. One of my most memorable experience has been the time when I sold my first compact camera to a social media influencer (Hint: NOC Girl). The camera has since travelled around the world to many interesting places and has been a conversational piece for the owner for many years. I am proud to say that the camera (Hint: Not a Pentax) was not sold with an extravagant pricetag and has found its way to someone who was able to both utilise it as well as spread the awareness of film photography. Over the past 5 years, I've met many interesting people from all walks of life, each of them with their own unique narrative, I would take the time to get to know them individually when we meet to deal. Provisioning them with the means to documenting their life experiences has allowed me to gain more insights into the community's needs and concerns on an upclose basis! I.C.S @ Matsuya Ginza 2019 has been an eye-opening, finger throbbing, wallet panting experience. It's certainly exciting to see how enthusiastic film lovers out there are at this event. I hope everyone managed to get what they came for, plenty more exciting events coming up, with CP+2019 & subsequently another I.C.S event in September at Isetan. Shout out to @japancamerahunter, I finally bought something through him. Do check out his latest website revamp, loving the simplicity and clean look. The Ronin S by @djiglobal is by far one of my favourite gimbal I have the chance owning. Having started with smaller smartphone units such as the Zhiyun Smooth Q, moving eventually to the Zhiyun Smooth 4 (mainly for the Pull Focus feature and multiple configurations). This is definitely a huge step-up some might say. Please enjoy the 60 second clip I've made with a small test I did in my room, to test how it can perform in tight spaces (I will do an outdoor version soon). I tested Pull Focusing, Track-in, Static Movements and Pedestal shots. Let talk about its sheer weight, an arm breaking 1.86kg ! Then you have camera gear to consider, which in my case is 945g (body) + 615g (lens) = 1.56kg, totalling at 3.42kg handheld. However, that is just half of what the total payload (3.6kg) can handle. Which is truly a remarkable piece of equipment. In exchange for weight, you get excellent stability, buttery smooth movements and almost zero shake. I have considered upgrading to a smaller set-up, but we'll leave that aside for now. I am lucky to have easy access to @cathayphoto to pick up the missing Mini-USB cable which is required for me to fully utilise all the functions within the app, from Motionlapse to Tracking for both Photography & Videography, I spent a good 5 hours just engrossed like a 10 year old with this new toy! A @synergyfilmco Productions: Gimbal Operator/Video Editor/Colourist: Justin Sim Editing Software: Final Cut Pro X Equipment: DJI Ronin S + Canon 5DMarkIII + Canon EF 16-35mm F4L IS USM. Flashback Sunday, when I picked up @holycrap.sg's 8th release of their Rubbish FAMzine series. This issue was released with a 7" Vinyl record with the family's first collaboration single "Bright Eyes". Which took some visual queues from Bonnie Tyler's "Total Eclipse of the Heart" MV. (Her release in 1983 was a chart topping hit in the US, UK & Canada which garned international number one hit.) Along with a collage of the Lim Family's assortment of favourite hits in the 80s. 🎶🎸🎹🥁 This is my second purchase of their amazing works of art, prior was the #filmisnotdead art piece. Check out Pann rocking out with his Olympus Mju Limited. 😎 I wanna shout-out to @pannlim, @aira_lim, @xd_renn.exe and Claire for accomodating to my request for book No.75 which kinda mess up the assembly line 😂, refer to the video and you'll understand why! @aikbengchia's exhibition of his latest work "PASTELICIOUS" is a series of 6 different still images of the daily scene happening at the Peranakan Houses along Koon Seng Road. ABC's captures share a moment of time that brings me back to my adolescents where I used to hop on rickshaws with my grandmother to shop for coffee and titbits. 3 generations living side by side along Everett Road North at Joo Chiat, those days were fragile yet precious to me. Thank you for bringing back those fond memories. After the long wait and a little hiccup with the #blackandwhite cartridge..I am finally down to shooting with the #yashicadigifilm. They responded faster than I imagined and are actively working towards fulfilling their orders. Kudos to #teamyashica! Meanwhile, I will be working on a 36 frame shooting project, each post unedited (RAW) straight out of the camera. Since I ordered the 6 pack bundle, I will be uploading 6 frames for each cartridge! PS. I am not paid to advertise or promote their brand, I paid every single cent out of my pocket for this purchase, knowingly what I would get out of it eventually. Totally digging the #yashicadigifilm #y35 concept right now. The side by side comparison to its predecessor the #yashicaelectro35 is a noteworthy mention here.